Special Rate for Memories Brides: $149.95! So, what to do with your gown after the wedding? In order to ensure that any stains are removed before they set into the fabric, Memories recommends having your gown professionally cleaned and preserved as soon as possible after you walk down the aisle. With our simple Gown Preservation Service you can have the peace mind knowing that your gown is clean, well protected and will be an heirloom for decades to come. After cleaning and preservation your gown will be carefully packaged in an heirloom viewing box, perfect for storage. 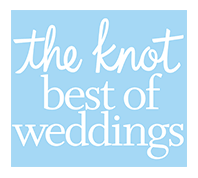 Simply bring your gown and up to 3 accessories (veil, garter, headpiece, etc) to Memories and we will inspect and process the gown and have it professionally cleaned and preserved by the nation’s premier wedding gown preservation specialist. Within 4-10 weeks your cleaned and preserved gown will be shipped directly back to you for your convenience. Is the gown out of town? No need to bring it in, we can send you home with a pre-paid preservation kit and you can send your gown at your own convenience. Shipping is free.